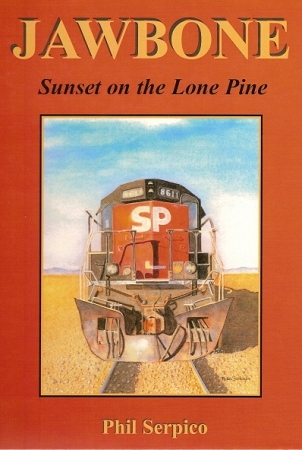 The story of California railroading in Owens Valley/Inyo County and the upper Mojave Desert. It begins with the history of SP's Owenyo Branch (Mojave to Owenyo), built in conjunction with the Los Angeles Aqueduct. Also includes construction and operation material on the Trona Railway, the Naval Ordnance Test Station (NOTS)shortline at China Lake, and the beloved narrow gauge railroad between Laws and Keeler, the southern portion of the old Carson & Colorado Railroad. Contains many old black & white photos with some color, timetables and station plats. This reprint contains 16 pages of additional info - Jawbone construction letters, add'l photos of Trona, China Lake and Laws-Keeler railroads, including write-up on SPNG No.18.